Finally, the option to get exactly what you want on a custom Magpul PMAG is available at a reasonable price. 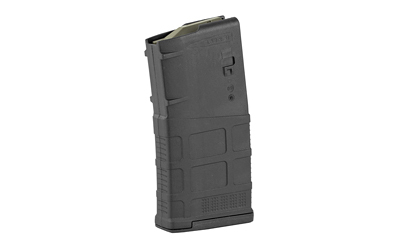 These AR10 PMAGs are engraved with an industrial laser that reacts with the polymer to create a bright image on your magazine. Don't settle for the inferior PMAGs that look dull and tarnished, get the real deal here. Perfect for showing off your new rifle, rekindling some love for an older one, or helping you differentiate different calibers in your collection. These PMAGs are sure to start conversations every time you pull your AR out. Practical applications include keeping your calibers straight so you load the right ammo, or designating your AR from others at the range, especially for LEO/Military guys where every rifle looks the same. Throw up some propaganda sure to raise morale on your next trip to the range or out back for some fun!